One of my many weaknesses is bread. White, wheat, bread sticks, bagels, naan-you name it. I’m more of a cook than a baker though so in the bread department I sometimes look for help. 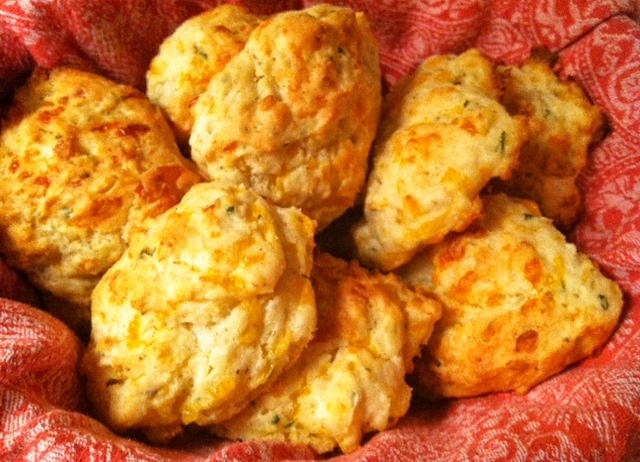 You can find garlic cheese biscuits in a bag at the bakery or even in a box on the baking aisle. I like to cook from scratch whenever possible though and I knew there had to be a better way. I think I have found it! 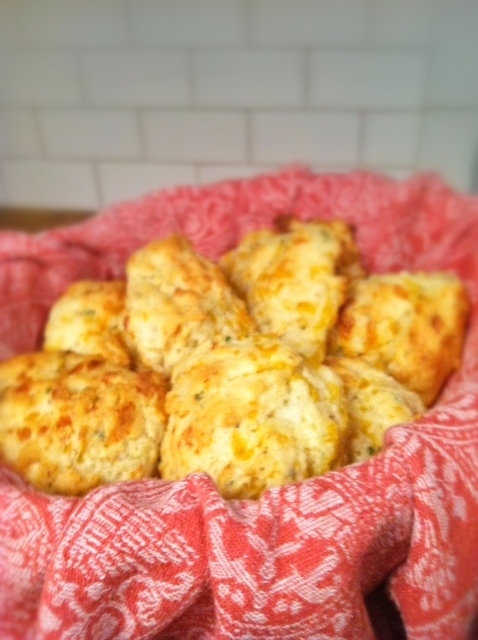 These biscuits are home run. Touch.Down.Sara. Way to score, big time. How many sports words can I use to describe these biscuits. Here are the components. 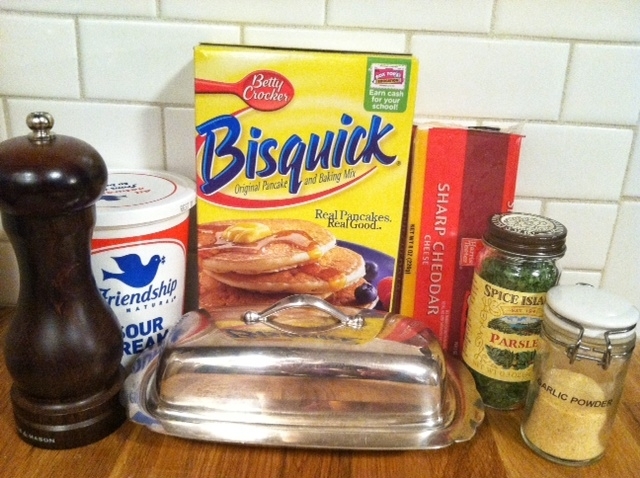 Did you know that Biquick is just a simple way to measure out flour, shortening, salt, and baking powder all combined into one? 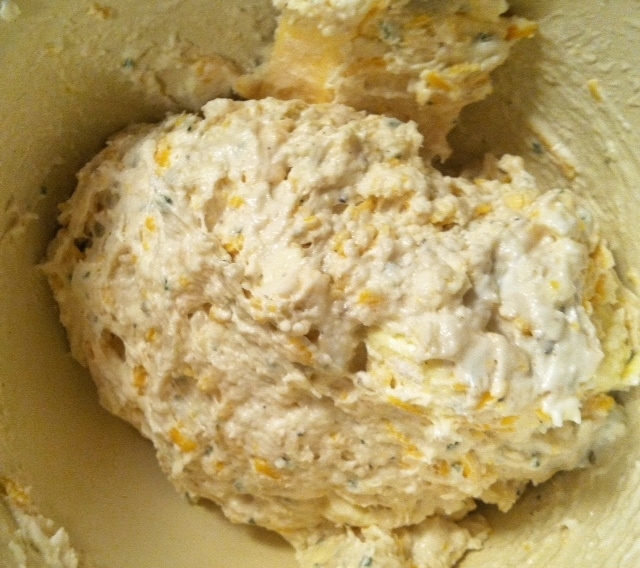 This is what the flour mixture looks like before you start combining the butter. Pretty. This is what it looks like after everything is mixed together. They would be perfect with chili, spaghetti or stew. 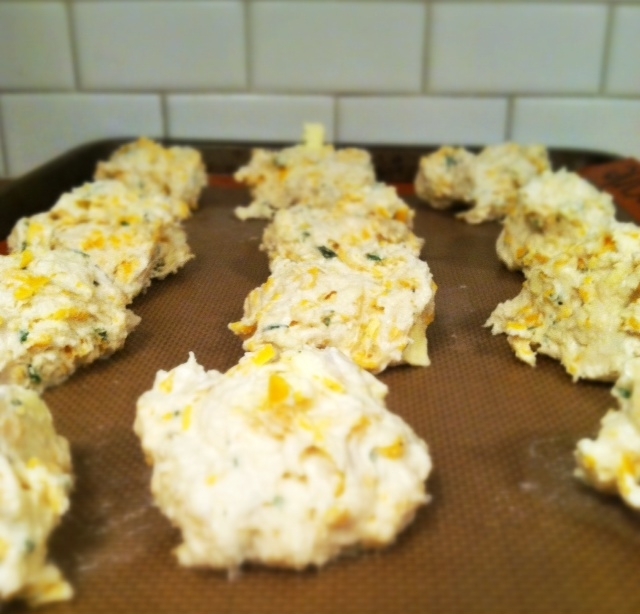 In a bowl, combine Bisquick, garlic powder, pepper and parsley. Then combine the dry mixture with the butter, using a fork. 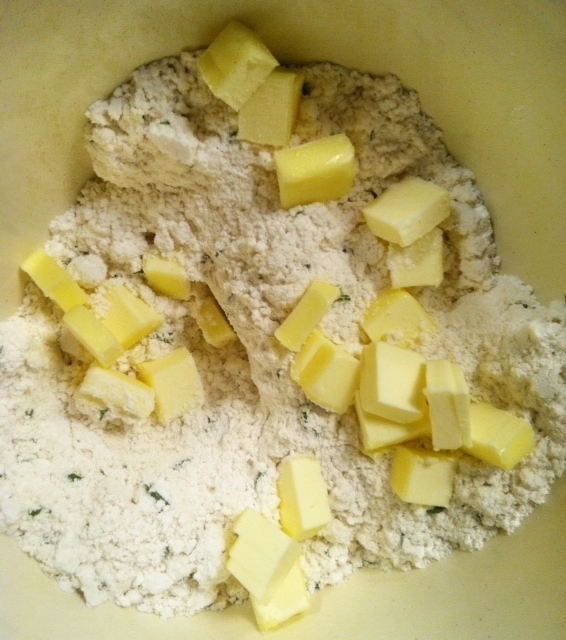 Press the fork between the powder and butter to create smaller chunks. Do not over mix. The batter/dough should be lumpy. Add cheese, milk and sour cream. Stir to combine. Scoop the batter/dough onto a Silpat or parchment lined baking sheet. Should be 12. I used a 1/4 cup measure to scoop. Bake for 15 minutes or until the tops of the biscuits start to brown.